When you entertain guests, you need a place for everyone to go. 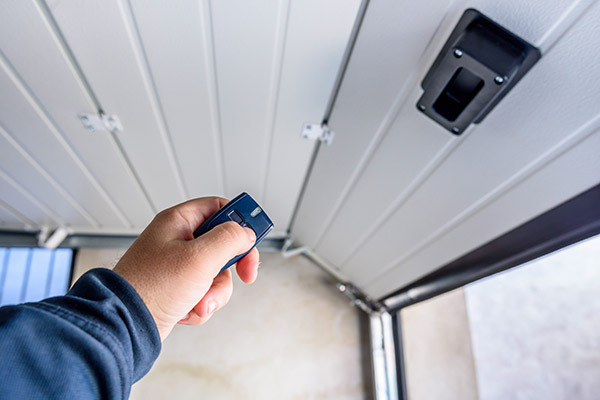 Many homeowners use their living room or their garage. However, if it’s a big party, your guests may start to feel claustrophobic and the house can begin to get uncomfortably warm. 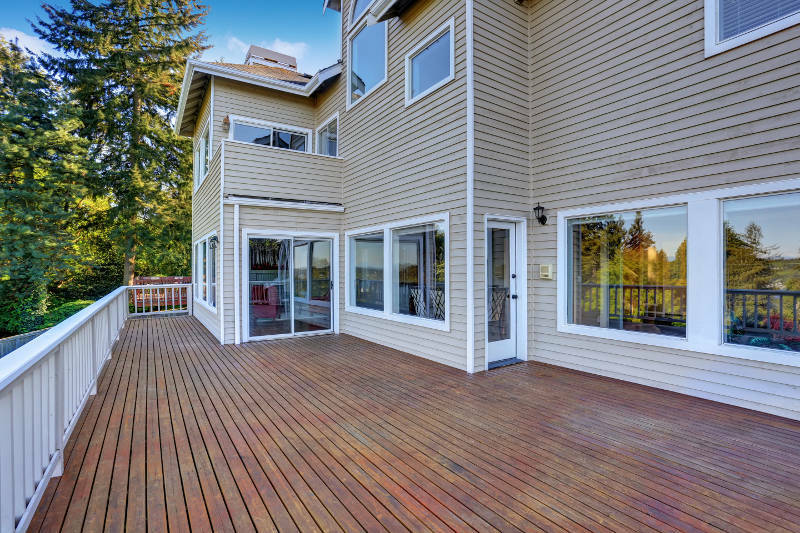 You can eliminate these problems with a few creative deck ideas. Transforming your deck is a great way to move the party outside where it’s more comfortable for large groups of friends and family to congregate. You’ll also have more space so everyone will fit without being crammed in your home. We’ve come up with 9 awesome deck ideas to make your backyard the perfect hangout spot. 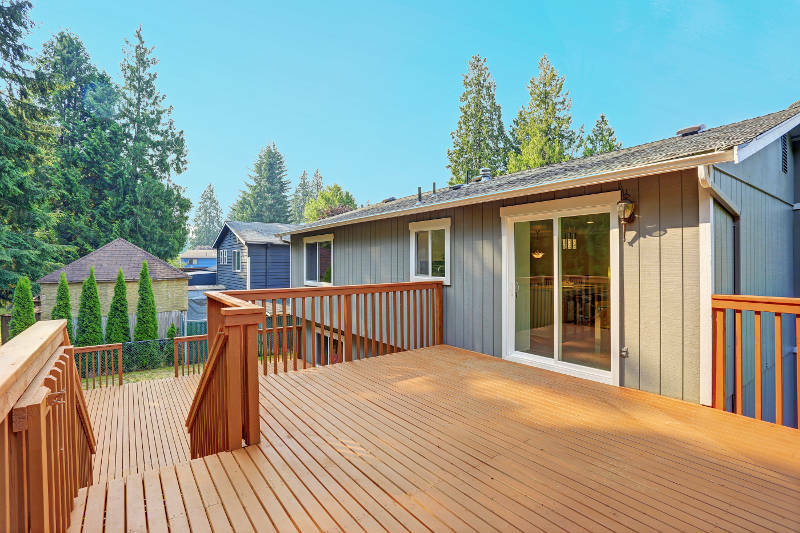 Whether you have an existing deck or you’re building a new one from scratch, there are a few ideas on this list that will surely help you. When people think of a deck, they probably think of a single level area in the backyard. However, your deck can be so much more. Some homeowners have decks that are built on a hill and descend down it creating a beautiful design. Also, you can build a balcony outside of your bedroom and deck on the first level and connect them via stairs to create an unbelievably cool deck. This is great for adding even more space as well as shade to the deck below. What’s a deck without furniture? Bad or no furniture can ruin an otherwise amazing deck. Plus, if you don’t have places to sit and tables to eat at, no one is going to want to hang out on your deck. The question to ask yourself now is, “What deck furniture is best for me?” You have multiple options to choose from. One of the more common options is metal patio furniture. It’s moderately priced, decently durable and looks pretty nice. You can get a table, chairs and an umbrella to add a little shade. A more luxurious style is wicker deck furniture. It’s very durable and looks absolutely stunning. With the addition of cushions, it’s also very comfortable. There are even wicker couches and ottomans to make sure you and your guests are really comfortable when on your deck. For a more affordable option, you can go with plastic furniture. While it doesn’t look the best, it’s the cheapest way to get a lot of chairs really quickly. There are also plastic tables available to complete an entire patio set. Some homeowners have traveling lawn chairs that they use on their deck as well. The best part about these is that you can store them away when you’re not using your deck. It’s a great way to keep your deck looking great at all times. If you have a ceiling or multi-tier deck, you can get creative and have hanging furniture. Swinging benches and hammocks are both common pieces homeowners like on their deck. When people think about deck ideas, many often forget about their patio door but it can play a major role in the beauty and functionality of your deck. You have two different options available: sliding patio doors and French patio doors. There are two major features of a sliding patio door that make it a great choice for your deck. The first is that it’s easy to open and close. Since they operate on a sliding track, you can open and close them with the gentle push of one finger. Sliding patio doors also blur the line between the inside and outside. It helps bond the people hanging out inside with the people who would prefer to be outside. It also maximizes the light you let into your home which is a great benefit. French patio doors are two or three panel doors that open on a hinge. They’re a little different because they swing open rather than slide. You can customize which direction they swing, but you’ll still need to organize your furniture on one side of the door accordingly. The big benefit of French patio doors is that they’re gorgeous. The double doors give your deck a feeling of elegance and importance that you won’t get any other way. Your guests’ jaws will drop when they see your French patio doors. Neither of these doors will look great without proper installation. You need to find a company you can trust with your replacement patio door project. Feldco is Madison’s best door company and will make sure your beautiful new patio doors are installed by the factory trained and certified installers – get a free quote now. Lighting is one of the most important deck ideas because it allows you to actually use your deck during all hours of the day. Even if it’s pitch black and 10pm, you can turn on the lights and enjoy your deck. There are a few different types of lights you should consider. The most popular lights are ones that hang from the side of your home. They’re often found near a patio door or entryway and light up a large portion of your deck. Having a few out there will allow your get-together to continue into the night. It may be very dangerous to walk up and down deck stairs at night – especially if they’re narrow. Without any lights on them, you’re eventually going to take a tumble. The good news is that there are lights for your stairs which help you see where you’re walking. It’s perfect for keeping you and your guests safe. There are more festive light options as well. A very common source of light is from tiki torches. They stick into the ground and can be placed around your deck for the perfect source of light. Christmas lights are also a great option. You can string them along the base of your deck so you’re able to see. It’s great for the holidays and will give your home a splash of color. Everyone loves grilling when the weather permits but sometimes a simple grill isn’t enough. 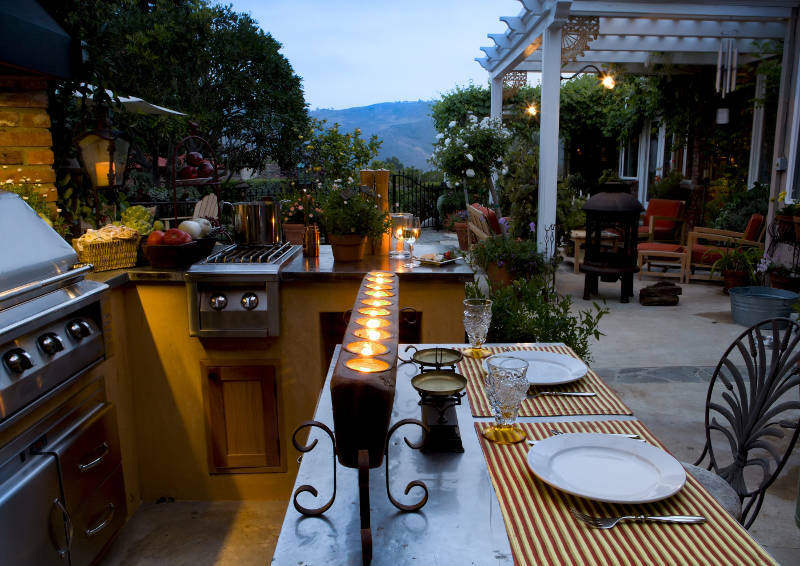 You need to create an outdoor kitchen to make more elaborate meals. What’s included in an outdoor kitchen? Start with a large grill or oven. Yes, there are outdoor ovens and they’re as cool as they sounds! This allows you to cook anything you want without having to go into your kitchen. You’ll also need counters so you have room to cut meat and vegetables for the grill. They’ll give you space to move around and prepare fantastic meals for your guests. The counters can also have cabinets underneath to store spatulas, tongs and other grilling essentials. No kitchen is complete without a table. With less space restrictions, you can get a table as large as you want to seat all of your friends and family. There are some with umbrellas to help shade you on the sunnier days. Another really cool addition to an outdoor kitchen is a pizza oven. These create amazing Neapolitan style pizzas in minutes. Just be very careful because they can get very hot. Now we’re getting to more elaborate deck ideas. Rather than creating an amazing kitchen, you can turn your deck into a bar instead. It’s relatively the same because you’ll need a cooking area and maybe a large table but there are a few changes. For starters, you need a bar. This is where your guests will sit to enjoy a drink and you’ll be able to store glasses, dishes and beverages underneath. Another common feature of most bars is a mini fridge. You’ll be able to store left over food and bottled drinks with ease. You just need to make sure you don’t have a cable running to your home because people can trip. This may require you to route electricity and create an outlet in the middle of your deck. If you’re going to create an outlet in the middle of your deck, you may want to consider mounting a TV to a pot or the side of your home. After all, what kind of a bar doesn’t have a TV? It’s a great place to catch the big games with your friends while enjoying a cool spring or summer evening. Pools are a great option for homeowners because they provide a place to cool off when it’s hot outside, allow you to get great exercise and are fun for people of all ages. You can enhance your pool by building a deck around it. For starters it’s safe to have a deck around your pool. It gives you the ability to climb out of the pool from anywhere in case of emergencies. Also, a deck around your pool is great for sunbathers. You can set chairs around your pool and just sit and relax. It’s the perfect place to read a good book. Whether the deck extends from your home to the pool or it’s just in the middle of your backyard, you may want to have a gate built preventing young children and pets from getting to the pool easily. You want to make sure everyone remains safe around a pool because it can be very dangerous – especially when unattended. Bonfires are a huge part of the summer. Getting a group of friends together, roasting s’mores or hot dogs over a fire and catching up can’t be beat. You’ll definitely want a bonfire pit on your deck. Many homeowners might get a pit from a department store but that can be incredibly dangerous. If your deck is made of wood, it can catch fire easily because the bottom of the fire pit will get extremely hot. There are better bonfire deck ideas available that you should try. One is to have a deck built from stone or brick. You’ll be able to put a bonfire pit on it without having to worry about it catching on fire. However, stone and brick decks are rather expensive so this isn’t the most affordable option. If you have a wooden deck, you may want to have a space designated for a bonfire pit, or have one built into the deck itself. This will assure that the area is safe for fires and you won’t have to worry about fires as long as you don’t let it get out of control. Pergolas are often one of the most ignored deck ideas. Think about it, who do you know who has a pergola? Do you know what a pergola is? A pergola is a large archway that’s most associated with a garden but can be built over your deck. There’s a pseudo – ceiling made out of slate so some sun will peak through. The great thing about a pergola is that it’s designed for plants and ivy to grow up the sides and on the ceiling. It’ll add a beautiful look to your deck thanks to the vines and greenery. Also, once the vines and plants start growing on the ceiling, you’ll have complete blockage from the sun. It’s an all natural canopy for your deck. You won’t have to worry about the sun’s harmful rays fading your outdoor furniture. One thing you need to consider with your pergola is that will need to maintain the foliage. If you don’t it’ll get unruly and your pergola will not look its best. The reason you’d get a pergola is for aesthetic appeal so you better make sure it looks great. Many times, your deck is built a foot above the ground and if you have a multi-tier deck, certain areas could get to be an entire story off the ground. Simply tripping and falling off the deck could cause anything from a twisted ankle to a more serious injury. You could avoid this from happening by building a fence around your deck. It’ll prevent you from losing your footing and getting hurt by falling off the edge of the deck. It’s even more important when it’s dark out and you may not be able to see where the edge is. A fence does more than protect you. It also helps add beauty to your deck. A fence and railings on your stairs helps give it a neat barrier that just looks plain cool. If you’re looking for an awesome place to entertain guests, you’ll want to try at least one of these deck ideas. Whether you’re trying to improve an existing deck or building one from scratch, we have something here that will help you out. 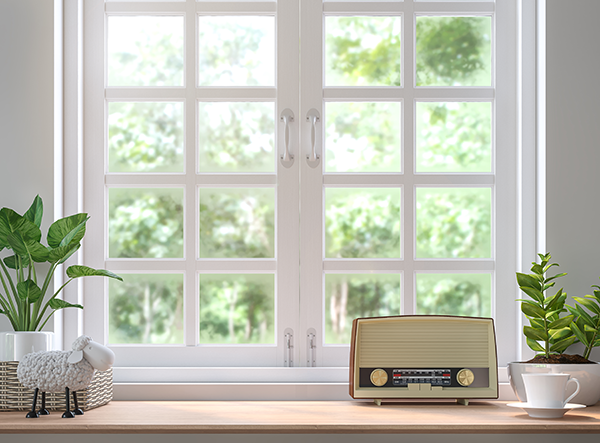 As we mentioned above, patio doors play a major role in the look and functionality of your deck, but if your current one is old and worn, it isn’t doing its job right. Feldco is here to help you with your replacement patio door project. 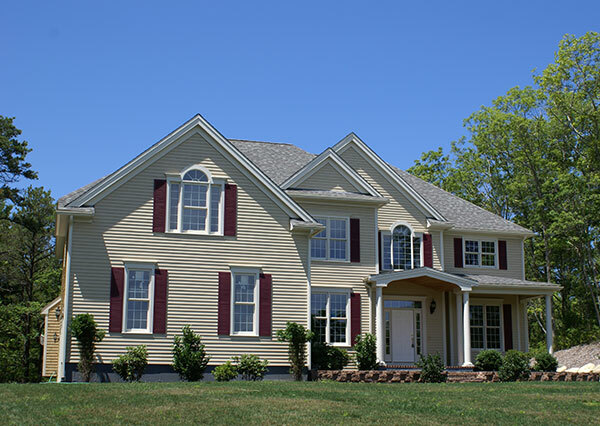 Get a free quote and see why over 350,000 homeowners have trusted Feldco.